Since 2009 Member of the Editorial Board. Mathematics in Engineering, Science and Aerospace (MESA). Since 2008 Associate Editor. Journal of Reliability and Statistical Studies (JRSS). Since 2006 Section Editor. Communications in Dependability and Quality Management (CDQM). Since 2005 Member of the Editorial Board. Maintenance and Reliability – International Journal of the Polish Academy of Sciences. Since 2004 Member of the Editorial Board. Business: Theory and Practice. Since 2004 Member of the Editorial Board. Technological and Economic Development of Economy. Since 2009 Reliability Engineering & System Safety. Since 2008 European Journal of Operational Research. Since 2008 Journal of Applied Statistics. Since 2007 Journal of Applied Probability and Statistics (JAPS). Since 2006 International Journal of Environment and Pollution. 2010 Editorship (with Gertsbakh, I, Khvatskin, L, Laslo, Z & Lisnianski, A), Proceedings of the Symposium on Stochastic Models in Reliability Engineering, Life Science and Operations Management (SMRLO'10),. SCE – Shamoon College of Engineering, February 8-11, 2010, Beer-Sheva, Israel. 2007 Guest Editor (with Vonta, F), Communications in Dependability and Quality Management: Special Issue on Statistical Models for Biomedical and Technical Systems, Volume 10, Number 1, 2007. 2006 Guest Editor (with Laslo, Z), Journal of Business Economics and Management: Special Issue, 2, 2006. 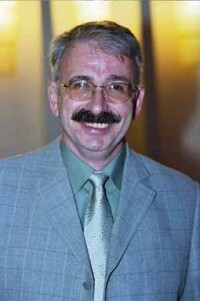 2006 Guest Editor (with Lisniansky, A), Maintenance and Reliability: Special Issue of the International Journal of Polish Academy of Sciences, 2, 2006. 2005 Guest Editor (with Laslo, Z), Communications in Dependability and Quality Management: Special Issue on Models in Reliability, Safety Security and Logistics, Volume 8, Number 3 (Part I), 2005. 2005 Editorship (with Laslo, Z, Gertsbakh, I, Kabashkin, I & Lisnianski, A), Proceedings of the International Symposium on Stochastic Models in Reliability Safety Security and Logistic. Sami Shamoon College of Engineering, February 15-17, 2005, Beer-Sheva, Israel. 2003 Editor and Member of the Editorial Board, Proceedings of Student Research Works. Transport and Telecommunication Institute and Negev Academic College of Engineering, Issue 4, 2003. 2003 Co-editor and Member of the Editorial Board, Proceedings of Student Research Works. Transport and Telecommunication Institute and Negev Academic College of Engineering, Issue 3, 2003.